The Left in a Foxhole? Keynesianism embodies capitalism's contradictions — and is unable to deliver itself from them. In The Tailor of Ulm, his farewell before assisted suicide in 2011, the Italian communist Lucio Magri remarks that the post–World War II left’s constant “gesture to Keynes” has no “clear-cut content”: Keynes is “never read, never reflected upon.” My book is, among other things, an attempt to understand that gesture to Keynes and its unreflective persistence, by reading and reflecting upon Keynes and other Keynesians. It reexamines the force of the Keynesian critique of capitalism and its relation to political economy as both knowledge and a way of knowing. It argues that the Keynesian critique is a distinctively postrevolutionary political economy, assembled and reassembled again and again to address an existential anxiety at the heart of liberal modernity. Like all things social, it has taken a variety of forms, each of which reflect the world in which it seemed necessary. Yet it is always, at its core, a reluctantly radical but immanent critique of liberalism, a science and sensibility that allows us to name “the crisis” — poverty, unemployment, inequality — when everything hangs in the balance and “something must be done.” For Keynesians, from Hegel to Piketty, it is always ultimately civilization itself that is at stake. This stance, and the critical theory of liberal capitalism upon which it rests, are not confined to the “centrist” or “progressive” political realm we might immediately associate with nominally Keynesian ideas or policies. In other words, to say that Keynesianism is distinctively postrevolutionary is not to say that “we” (whoever that might be) are past the time of revolution. Rather it is to say that whatever the fate of future revolutions, Keynesianism is a critique of liberal modernity that could only be formulated after revolution. It would never have emerged without a revolutionary past to endlessly haunt it. As a result, the same forces that have animated two centuries of the immanent “reform” of liberalism have also animated much — although certainly not all — of the nominally radical critique of liberalism in what we now call the Global North. As Robert Lucas, among the most influential economists of the “counterrevolution” against Keynesianism in the 1970s and 1980s, put it in 2008, “everyone is a Keynesian in a foxhole,” and there is wisdom in this. I say this not to undermine or dismiss the radical politics or political economy that has developed in the Euro-American tradition, as if it is not “really” what it claims to be. Rather, to lean on Magri once more, I say so because “we need to confront the true evolution of the situation, without despondency but also without pretence.” There are threads the Left must trace, leading twisted and knotted but basically unbroken from Hegel’s response to the French Revolution to our twenty-first-century triple crisis and, more important, to the politics of our attempt to conceptualize and confront that crisis. Moreover, these threads are not necessarily red: the ghost of Robespierre haunts the contemporary Left, but not always in the manner in which some might hope. On the contrary, some of the threads to which we unwittingly cling touched Robespierre’s fingertips only briefly. Together, they lead us back and tie us irrevocably to both a revolutionary tradition and a collection of modern anxieties that he and his colleagues also felt and inspired and which have never gone away. At the risk of making claims regarding a broader political condition sure to misrepresent many, I would contend that Keynes’s most recent return thus presents a propitious opportunity to undertake a critical accounting of his particular political economy so as to understand what Keynesianism means for “progressives.” Why does Keynesian reason have such a hold on progressive thought, and why, at moments of crisis like the present, does a “progressive” knee-jerk Keynesianism seem to reappear? Why does Keynesianism make so much sense to much of the Left, especially in times of crisis, and does that signify some sort of longer term imaginative or ideological crisis? What facets of the modern varieties of “Keynesian” policy and political economy reproduce the wisdom that seems so consistently appealing, and on what historical premises could they possibly deliver on their promises? The General Theory’s great contribution — also its express purpose — was to develop a pragmatic, general theory of liberal capitalism, one that confronted the fact that there was no single, timeless answer to its shortcomings. Keynes presented it, immodestly but honestly, as the most coherent and useful theory yet developed of civil society and its relation to the state: coherent because it pertained, he believed, to all capitalist societies, and useful because it identified the mechanisms that made what he called “modern communities” tick. Taken at face value, this contribution justifies the truism that Keynes was no radical. As Eric Hobsbawm famously remarked, he came to save capitalism from itself. But to leave it at that is to miss the most important point. The crucial question is not merely what Keynes was trying to save — and the term “capitalism” does not adequately capture the object of his rescue efforts — but why he came to save it and what he came to save it from. 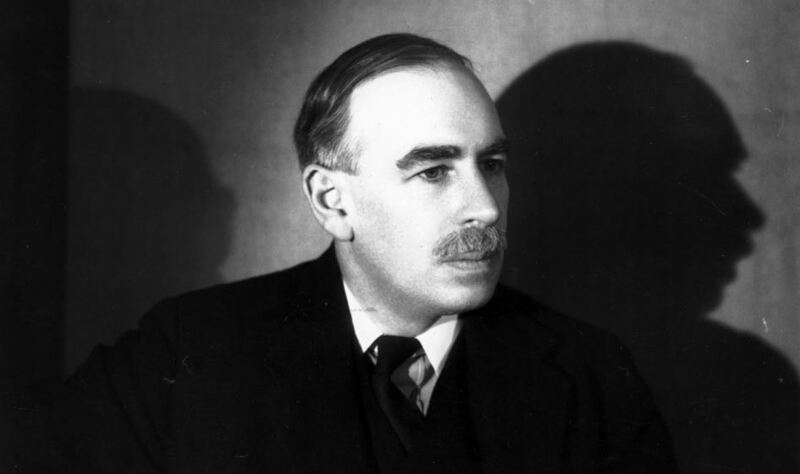 Keynes himself was unequivocal on the matter: “Civilization,” he said in 1938, “is a thin and precarious crust, erected by the personality and will of a very few, and only maintained by rules and conventions skillfully put across and guilefully preserved.” This is the single most important premise of all things Keynesian. If it were possible to describe the fundamental Keynesianism proposition in a phrase, this is about as close as we could get. This argument, and the pragmatic, elitist approach to governance it suggests, retains extraordinary appeal, and not only among self-identified Keynesians. Understanding its logic and ideological basis is the key to understanding not only what made Keynes a Keynesian and what it means to be Keynesian today; it is crucial to the construction of any politically viable post-2008 liberal-capitalist political economy, for which Piketty’s Capital in the Twenty-First Century might one day stand as the crowning achievement. Many left critics of Piketty will disagree, insisting that he is just another in a long line of Third Way liberal apologists. It is true that Capital in the Twenty-First Century shares with all of modern liberalism — classical, neoclassical, and everything in between — a quasi-obsession with the containment of problems to their “proper” sphere. Keynesians also share this obsession, most evident in the emphasis on techno-bureaucratic solutions, which demand that regulatory authorities enjoy as much jurisdictional definition and independence as possible. All varieties of Keynesianism propose what Hegel called a “universal class” that can surgically remove social questions like poverty from the everyday messiness of politics and address them properly in the expert realm of reason and reasonableness. But the problem of separating the economic from the political is perhaps even more visible, and considerably more elaborate, in Keynesianism than in more dogmatic commitments to liberalism. In the Keynesian critique, there is more than just an effort to keep political and economic or social questions separated; the content of the political, as a category of social life, not only shifts over time and space but is also constantly redefined so as to determine as clearly as possible what it does not contain. This categorical malleability, however, should not be taken to represent a Keynesian faith in the liberal gospel of the “natural” separation of the political and economic realms. On the contrary, Keynesianism endorses a very Machiavellian position on this front. Keynesians certainly understand the separation between politics and economy as essential to social order, but they are under no impression it is “natural” or a given. They know it is nothing other than a necessary political-historical artifact, and a terribly unstable one at that. A separation of the political and economic realms, and the liberal capitalist civilization that depends upon it, tend inescapably toward disintegration because the liberal “freedom” they cultivate and celebrate — yield-seeking, entrepreneurial atomicity — inevitably and endogenously produces scarcity and poverty, both of which make the separation difficult to maintain. This is the looming “Ricardian apocalypse” that motivates Piketty’s entire project. Capitalist modernity’s internal dynamics erode the very social fabric upon which it relies. The grandiose Utopia that Keynes sometimes proposes, like the virtuous full-employment “communism of capital” he envisions at the close of The General Theory, might occasionally give his futurology a rosy glow. But none of his professed hopes or predictions have prevented his sharpest readers from arguing that his analysis of modern political economy is “pessimistic.” I would go further: it is tragic. The tragic core of The General Theory lies in its analysis of modern poverty and unemployment, in its demonstration that while there is no universal or natural necessity to either, they nonetheless persist. Capitalist scarcity is produced by capitalism. For Keynesians, this has crucial, permanent, and tragic political-economic consequences. It means liberal-capitalist civil society’s internal contradictions render it impossible to forever contain poverty to its own “proper” compartment of the social. Consequently, the ultimate tragedy, and the ultimate paradox, is that despite modernity’s perpetual production of the poor, poverty has no proper place. Although poverty and the poor are as much a product of modern life as technical automation and the capitalist firm, there is nowhere in modern life proper to them, nowhere they belong or are supposed to be. As a result, the economic problem and the social question can never be finally solved. Poverty is always a condition imposed upon the poor and in this true sense it is not the opposite of abundance or wealth, but the opposite of freedom. This is the radical truth Keynes was unable to see in what he offered: that poverty serves no purpose, has no place, and cannot be justified. He knew the traditional bourgeois rationalizations — that poverty is “natural” or “good” for the poor because it motivates them; that government requires a core of elites with a disproportionate stake in the maintenance of social order; or that inequality ensures that the wealthy can play their part as savers (what Schumpeter called “the last pillar of the bourgeois argument”) — were nothing but lies. To force people to be poor is not only morally indefensible — a moral failure classical and neoclassical theories dismiss by blaming the poor for their poverty — but also foolish. This, combined with his realization (but unwillingness to admit) that capitalist abundance is a self-destructive proposition, is the radical kernel at the heart of Keynes, a kernel he planted but could not or did not want to nurture. If he has “returned” to us, then, as we embark on the twenty-first century, what exactly he resurrects is an appropriate object of struggle. Geoff Mann is director of the Centre for Global Political Economy, Simon Fraser University. He is the author of Disassembly Required: A Field Guide to Actually Existing Capitalism, Our Daily Bread: Wages, Workers and the Political Economy of the American West, and In the Long Run We Are All Dead: Keynesianism, Political Economy and Revolution.